Some banks have started rewarding customers who have good credit scores with lower interest rates on big-ticket loans like a home loan. Bank of India, for instance, is currently offering home loans of Rs30 lakh and above at the marginal cost of funds based lending rate (MCLR) to borrowers with credit score of 760 and above. Borrowers with a lower credit scores pay 10 basis points more. So, even if you do not need a loan now, a healthy score can help in the future. And you don’t have to pay to check your credit score, and detailed credit report. From January 2017, the Reserve Bank of India (RBI) had made it mandatory for all credit information bureaus to provide a full credit report without a charge, on request, once a calendar year to individuals whose credit history is available. A credit information report (CIR) contains details of your credit history collated by a credit information company. At present, there are four such companies in India: TransUnion Cibil, Equifax Credit Information Services Pvt. Ltd, Experian Credit Information Co. of India Pvt. Ltd and CRIF High Mark Credit Information Services Pvt. Ltd. Whenever you apply for a loan, the lender asks a credit bureau for your credit background. The information shows your monthly payments and how you manage your credit. Based on this information, a score of 300-900 is assigned. The score with different bureaus for the same individual varies to some extent, but not significantly, as the underlying data is mostly the same. The variation in score could be due to the weight given to different categories of information by different bureaus and their algorithms. You generally have to buy your credit report. To buy online, you have to share details such as date of birth, Permanent Account Number (PAN) and email address. But you can access one detailed report in the electronic form, free of charge, once a year, from each bureau. This will contain all the details that a bank will get as part of a similar report, if you were to request for a fresh loan. You can also rectify any errors that may be there, through a dispute resolution process. You can access these reports through the credit bureaus’ websites. This is a different process than the free credit score that many fintech portals offer. Fintech companies have a tie-up with credit bureaus, and in return they get consumer data like name, contact information as well as employment details, which is used to cross-market products. 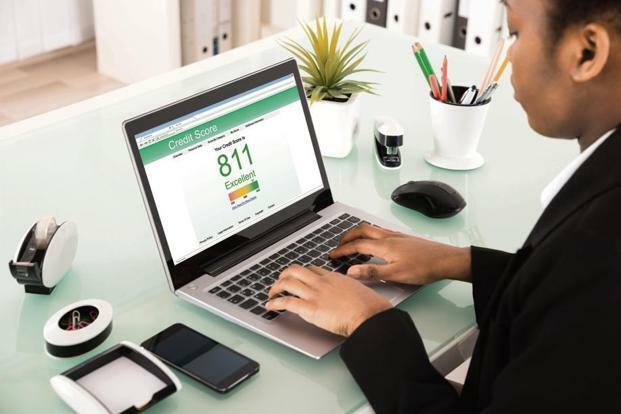 The credit report will have your account information, which has details of monthly payments for at least 24-36 months, names of banks from where you have loans, and the type of loan. It also gives the status of outstanding loans. The enquiry section shows details of banks that have viewed your report to assess a loan application, the date when you enquired about your report, type of loan (secured or unsecured) and the amount. Avoid delayed payments and defaults, and restrict enquiries for new loans if you are already leveraged, as it indicates you are planning to take greater credit risk.